Copyright ©2019 Amara Grimes Design Inc. All rights reserved. NOW EXTENDED TO MARCH 31! Don’t pass up this valuable offer! 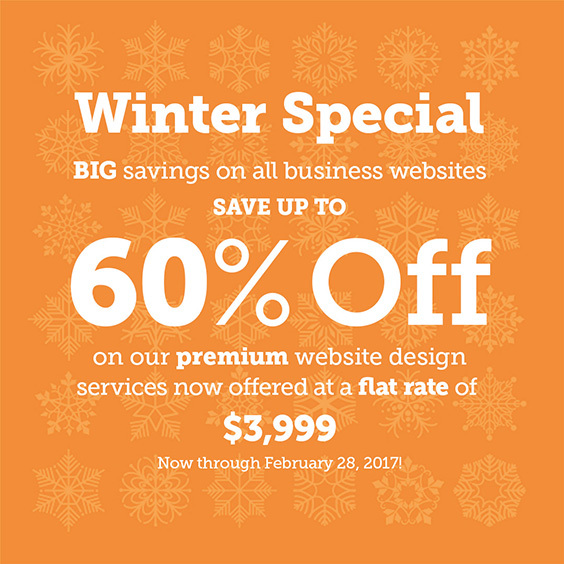 Our Business Plus website design package — valued at $7k to $10k — is now being offered at a flat rate of $3,999! That’s a savings of up to 60% off! Why so low? We want to get the word out that Amara Grimes Design is an exceptional creative talent with the highest design standards and reliable customer service. We’re willing to bet that once you’ve tried us, you’ll recognize the value we bring to your business — and we believe satisfied customers lead to new customers and new work. It’s that simple. Not quite ready to pull the trigger on a new website ’til later this year? Reserve your website now at this special rate and we’ll honor it anytime from now to September 2017! Interested? Call us toll-free now at 1-844 Hi Amara (442-6272) to get started. 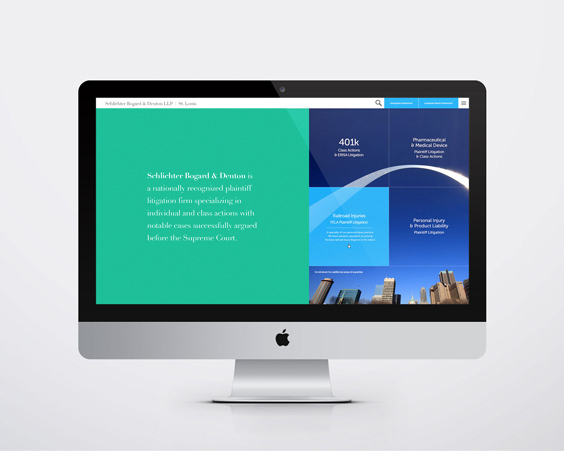 For more insight into our website design services, see our Free Web Consultation page. Scroll down for Terms & Limitations. Every web project begins with a preliminary “launch meeting.” This can be a face-to-face meeting or a conference call. During this meeting we’ll run through a comprehensive list of questions that help us understand more about you, your business or service, your target audience, existing brand considerations and other critical information that could influence our design decisions. Once we have a grasp of your content and a clear understanding of your business and brand, we’ll begin the preliminary design. 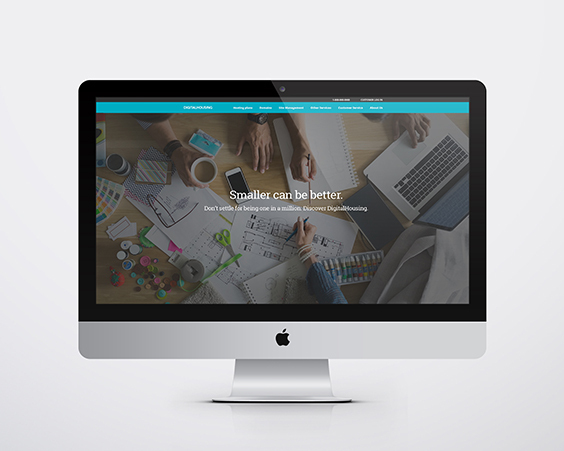 We provide a tight comprehensive sample of the homepage design concept. Your signature of approval on that concept is required to continue. We include two rounds of client revisions to the proposed design and one round of revisions to the the beta implementation (see Terms & Limitations below). We’ll help guide and counsel you with regards to preparing your content to produce the best design results possible. Once the concept has been approved and we have received all of the final content, we begin design for the remaining parts of the proposed site. Each part requires approval and sign-off by the client before proceeding to the site build on our private beta server. Once you give the final beta sign-off, we’ll install the site on your current hosting server or recommend a hosting provider. 1. Payment. A $500 non-refundable deposit confirms your order and places you in our schedule queue (or standby queue if you’re uncertain as to your start date). Sites are scheduled on a first come, first serve basis. A payment of $2,500 is required upon final approval of the beta site prior to moving the site to the client’s server. Upon payment, the new site will be transferred to the client’s server and a final payment of $999 will be billed net 15 days. 2. Website content. All content is supplied by the client. As part of the design process, we’ll review your content and make any recommendations as to any adjustments or modifications that would work best with our design concept. We may even make some content modifications to our preliminary layouts as part of our creative process (contingent on client approval) at no additional charge. However, if you need substantial help with editing or developing content, we can provide that too for an additional fee based on the amount of content creation or editing requested. 3. Photography. Photographic images are considered content to be supplied by the client. Up to three conceptual stock photographs to support our design concept may be included at no extra cost. If you need us to supplement your photography with additional stock or custom photography, those costs will be added to the flat design fee apart from the three complimentary conceptual photos we may choose to include for design purposes. 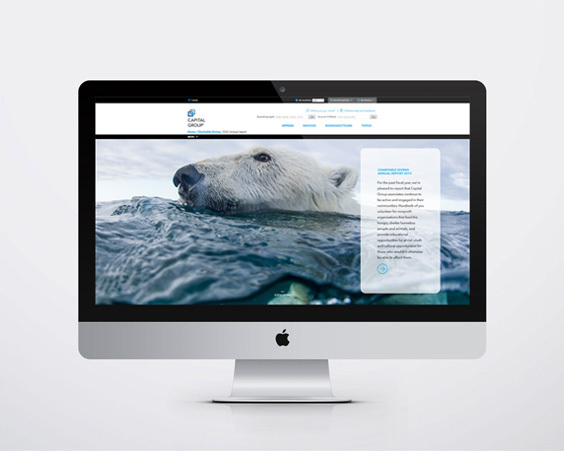 We will advise you if the photography provided falls short of the standards we believe will make for an effective website design and recommend options for replacing or supplementing supplied photo images. The final decision on any recommended content changes, however, always rests with the client. 4. Special functions. Not included with our Business Plus sites offered in this promotion are embedded video players, audio players, shopping carts or other complex functions. These functions can be added for additional fees. If your site requires any unique or special functions, please call and we can tell you if those functions can be included within our flat rate cost. If not, we can offer you a cost for the additional functionality. 5. Revisions. Client is allowed two rounds of revisions to proposed design layouts. One round of revisions is included to the beta preview assuming the revisions are not a substantial departure from the previously approved design layouts. Any subsequent client-requested revisions or revisions that substantially alter the previously approved design direction are billable. Likewise, any late content changes by the client that inherently alter an approved design layout will incur billable charges to accommodate such changes. 6. Size limitation. While our flat rate will generously accommodate sites of different sizes, we do stipulate some limitations on the overall size. This promotion is limited to no more than 10 unique web pages per site including the home page and site subsection pages. Additionally, web subsections that contain large volumes of information will be limited to the equivalent of six typed 8.5 x 11 pages per subsection. However, the site CMS will provide the client/user the ability to add any content that exceeds these limitations — assuming the additional content conforms to the page template design. 7. Hosting. Your hosting provider should configure your hosting account for a WordPress-based website prior to installing your finished website. We can recommend a hosting service provider if you need one. No hosting costs are included in this offer.